AZM is pleased to announce its new AZM Partner/Alliance Program that focuses on setting up enduring relationships with leading industries over the globe. AZM invites you to join this network that aims at optimizing sales and development opportunities and help our valued clients get most out of our solutions. AZM and EGS have partnered to offer the best hardware and software solutions for companies of all sizes. With this partnership clients can take advantage of high quality, yet affordable services. EGS is one of the leading IT solution providers in Pakistan and is committed to providing its customers with the best standards of service in the IT industry.The portfolio of their services, customized to the varying needs of clients, cover: Supply & Installation of Computer Hardware, Networking & Communication, Hardware & Software Maintenance under short & long term contracts, Design, Development, Implementation of Software Solutions and solutions Integration & Turnkey Implementation of IT Projects. BITS believes in the slogan "Everyone is a winner" as a baseline for its general strategy. BITS has developed sophisticated, intelligent and up to date solutions by utilizing the most recent technology. A team of expert consultants and pre-sale engineers are dedicated to find the best solution that achieves high quality performance, affordable cost, stability, reliability and easy to use solutions in served fields. BITS concentrates on different technology trends such as Networking, Security Systems, Web & Internet Solutions and Software Solutions. As a step to spread into the international markets, BITS has signed many MOUs with foreign companies such as AZM Computer Services and other partnership contracts to provide integrated solutions of high quality to the world. AZM and CWorks have integrated for the development, marketing and implementation of Computerized Maintenance Management Software (CMMS) and other software products developed by AZM & CWorks in Pakistan, Malaysia, GCC & other regional countries.CWorks, a company specializing in CMMS, is managed by a group of maintenance and information technology practitioners who between them have more than 60 years combined experience in maintenance and IT from both local and multinational organizations in many countries. 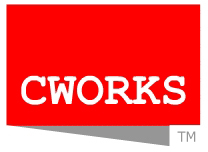 In addition to their experience in maintenance and IT, the CWorks team ’s expertise includes a huge base of implementation experience, as they have implemented CMMS at a variety of sites internationally that include LANs, WANs, and call centers environments. AZM has partnered with Tally Solutions to provide clients with best Payroll and inventory solutions to access strongly integrated business processes to heighten their profits. Tally is a globally recognised name, with over 2 million users experiencing the 'Power of Simplicity' . Tally's continuous growth is driven by their desire to develop standard, easy to use products that deliver practical relevance to diverse businesses globally. The ‘Power of Simplicity’ – brand statement and philosophy, is the foundation on which Tally develops every facet of their business. This value is reflected in the innovative, uncomplicated and customer-centric approach. Tally believes in harnessing cutting-edge technology to develop simple solutions, which help customers overcome increasingly complex business challenges. Cisco Systems is the worldwide leader in networking for the Internet. The Cisco name has become synonymous with the Internet, as well as with the productivity improvements that networked business solutions provide. The new IP-based Cisco Video Surveillance product portfolio allows easy access to live and recorded surveillance video for faster investigation response time and event resolution.